To this day, I fail to understand people who don’t like cheesecake, to me that is just unacceptable! I mean I won’t judge or anything but HOW CAN YOU SAY NO TO THE MOST DECADENT DESSERT THAT WAS EVER INVENTED? But as it happens the opinion regarding cheesecakes is quite divided, and personally, I am just offended by that (just kidding). So there are people who LOVE cheesecake, myself included, and then there are those that only like a certain variety of cheesecakes. So, there are people who LOVE cheesecake, myself included, and then there are those that only like a certain variety of cheesecakes. 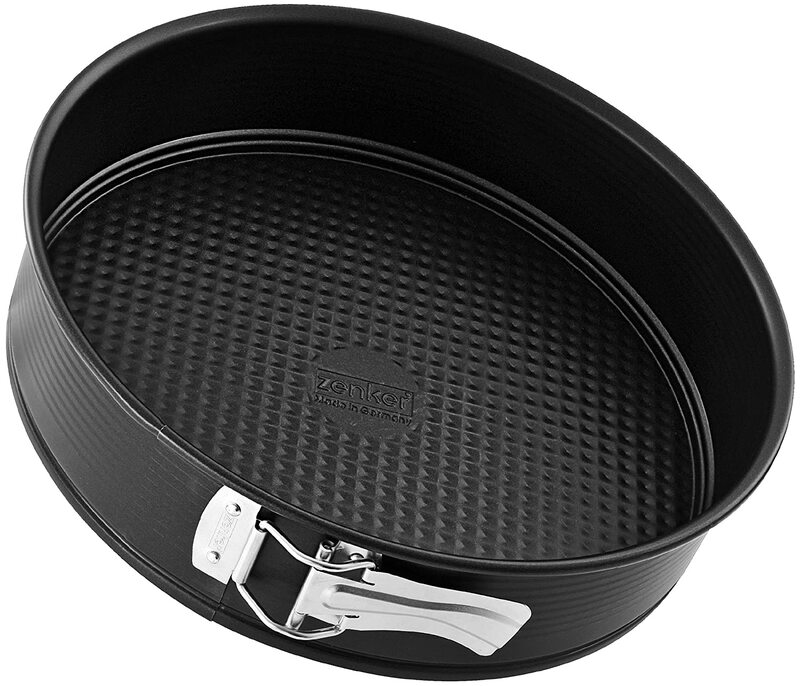 Zenker Non-Stick Carbon Steel Springform Pan, 9-Inch is non-stick as the name suggests and that’s obviously an important thing in the best springform pans. The great thing about this is that it promises even cooking so you get a balanced cook on your cheesecake. Plus it also offers a 5 year warranty and a lifetime warranty on the buckle, so if something does go wrong you can always get it sorted with the people at Zenker. 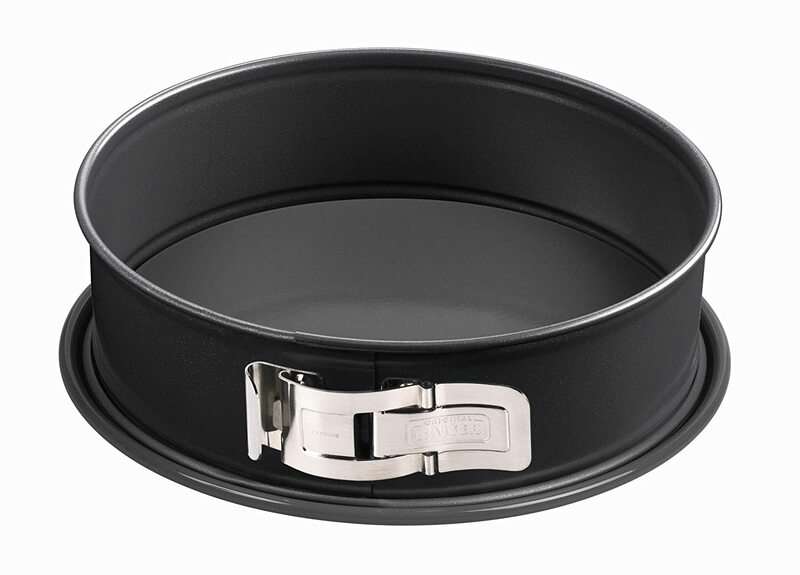 The Kaiser Bakeware LaForme Plus 9-Inch Springform Pan is another amazing option considering that this pan has an enamel coating and heavy duty steel and hence is bound to last a lifetime. Another feature that I absolutely love is the fact that the base is cut resistant, and I have personally experienced my springform pan base being ruined by knife marks and scratches and hence I have to serve my cheesecake on a different plate, but with a cut resistant base, you don’t have to worry about that. Wilton is probably my most favorite brand when it comes baking appliances and tools, this company always delivers on its promise, and they always have what I am looking for. Wilton has come out with the best mini springform pans which are just perfect if you want to bake mini cheesecakes as gifts or even at parties if you want to make different flavors etc. This pan will give you a lot of room to play around with your cheesecakes. These can also be used to make a regular three layered tall mini cake, which are so elegant and look absolutely great on a dessert table. 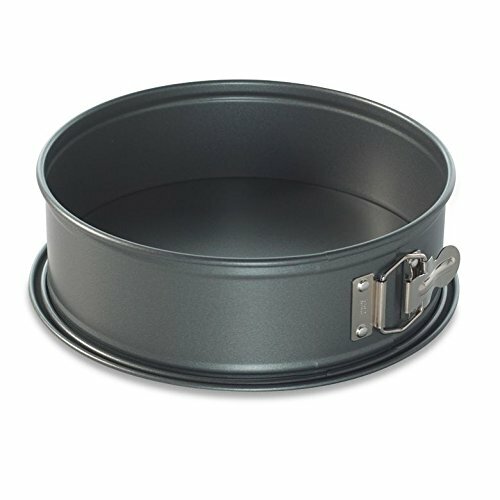 Nordic Ware Leakproof Springform Pan, 10 Cup, 9 Inch is a go to for beginners and a great option for anybody, it has a great price and even better specs. My favourite feature about this pan is that it makes sure no spills occur and is fool proof regarding leakage. If you were intrigued by the mini Wilton pans but wanted something that would cater to more than just one person then Elite has the right springform pans for you. These are on the same principal, mini 4-inch pans, but these are just the best springform pans for cheesecake, personally my favorite size, although I could eat an entire cheesecake made in these. These are also super versatile, you can use them to make cinnamon buns and hamburger buns, basically all the different kinds of buns, but also different cakes. Perfect, right? How to Bake & Decorate a Cheesecake? So it’s clear that there are a variety of cheesecakes out there, and mostly we can categorize them according to geographic locations that they are popular in. I think the best, or definitely, the most popular cheesecake is the baked version with cream cheese, egg yolks, and sour cream, also known as the New York Cheesecake. It is delicious as the graham cracker crust is buttery and sweet and salty, while the cheesecake itself is tart and creamy, yum! Another type that is continually gaining popularity in recent times is the Japanese Version of Cheesecake.. I have not had the pleasure of eating this one, but by the number of videos I have seen it looks almost like a cloud, it is so fluffy and light and spongey, definitely worth a shot. Like in most things, cheesecake traditionally comes from the ancient Greeks, and you can still find Greek cheesecakes today. They are made with phyllo pastry as the base while the top is a cheese called mizithra with eggs, sounds like an interesting combination. And since we are talking about a dessert that makes use of cheese how can Italy not have their own version, and hence they do. The Italians make their cheesecakes with the traditional ricotta and honey and sometimes mascarpone, my mouth is watering. The UK makes another of my personal favorite version, this one includes cream cheese, cream, and sugar, and it is served fresh fruit or compote. I love this because of how fresh and light it is, perfect for a fancy dessert. France and Belgium and Germany have their own versions too, so basically you are bound to end up falling in love with at least one type of cheesecake. Basically, the cheesecakes leave you no choice, and something that’s made with so many rich and decadent ingredients is obviously going to taste amazing. 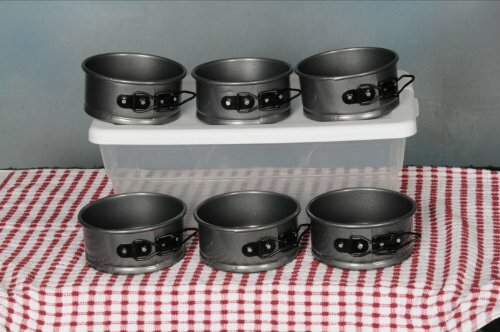 You must be wondering why one needs a springform pan and why your normal cake pans won’t do. Well, that’s because a springform pan consists of two different parts, a base and an interlocking band that you can adjust around the base. The band has a latch and so you detach the latch to take the cake out easily. It can be a little tricky though; you have to make sure that you don’t undo the latch before the cake is completely cooled. And even then I personally prefer running a knife dipped in hot water around the cake. It’s just a little precaution. If you don’t take your time and be patient, you are likely to end up with a cracked cheesecake with rough edges, sometimes it can also break apart completely. A cheesecake is a very delicate dessert and is barely holding together which is why it is so soft and light, which is also why you have to be extra sensitive when dealing with your cheesecake. With all these amazing options in the market, you must give homemade cheesecakes a shot, and you know the different kinds of cheesecakes that you can choose from. 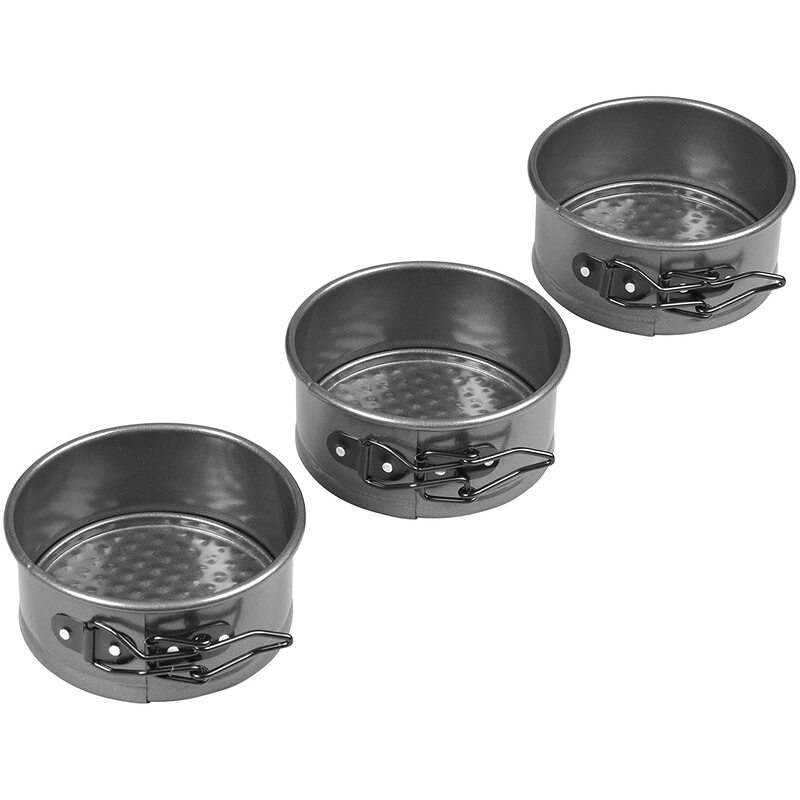 These are some of the best springform pans that are available in the market, and would surely aid you in making a killer cheesecake. Enjoy!